Baltimore Heritage’s second annual preservation micro-grant pitch party on last Monday at Whitehall Mill ended in a happy surprise. Southway Builders and FreedomCar made the unexpected decision to offer matching gifts and expand our micro-grant funding pool from $1,500 to $3,500. The result? Instead of just giving out four gifts, all seven groups that pitched an idea received $500 to make it happen. On behalf of everybody at Baltimore Heritage, congratulations to the seven organizations, and sincere thanks to micro-grant donors Ms. Brigid Goody, Southway Builders, and Freedom Car! Beloved Community Services Corporation at Union Baptist Church is working with the Baltimore Museum of Art to launch Soul Café: a project to create a safe space for community art engagement in Upton’s Marble Hill. Civic Works is making a new exhibit at Clifton Mansion showcasing an antebellum call-bell system and improving visitor experience on tours for their Legacy Education Project. H.L. Mencken House is buying garden supplies for volunteers to beautify the front stoop and improve the home’s back garden. Lillie Carroll Jackson Civil Rights Museum is buying books and organizing a new Saturday Civil Rights history book club for teens and young adults. Poe Baltimore is designing and printing a set of postcards featuring historic images of the Poe House. Thank you to everyone who submitted proposals for the pitch party and everyone who came out on October 3. We plan to check in with the seven award-winning projects and share updates on their fantastic projects over the next few months. Stay tuned! At Baltimore Heritage, we rely on the many people who volunteer with us, come on our heritage tours, and support us as members, donors, and sponsors. Thank you! 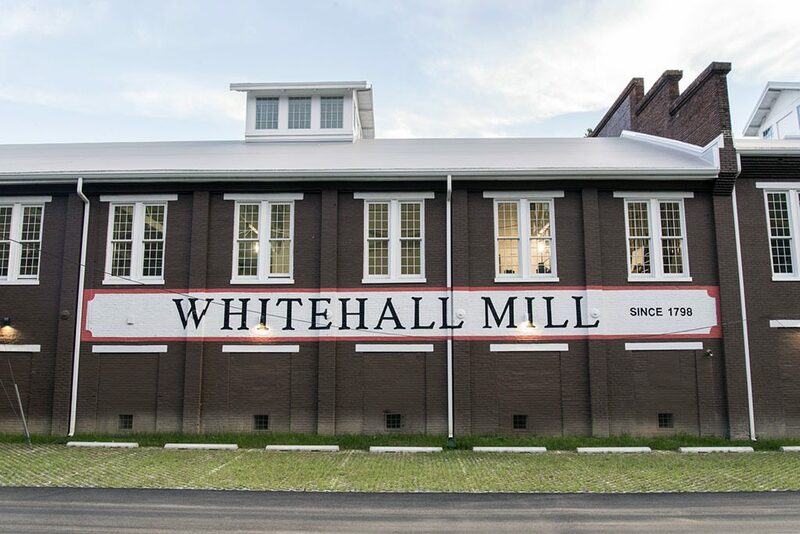 We hope all of you can join us as our guests at the historic Whitehall Mill for a reception, tour, and chance to help us give away four micro-grants for preservation in Baltimore. At Baltimore Heritage, we rely on support from hundreds of people in and around Baltimore: volunteers who make all our events possible, history-lovers who come on our heritage tours, and people who support our work as members, donors, and sponsors. Thank you! 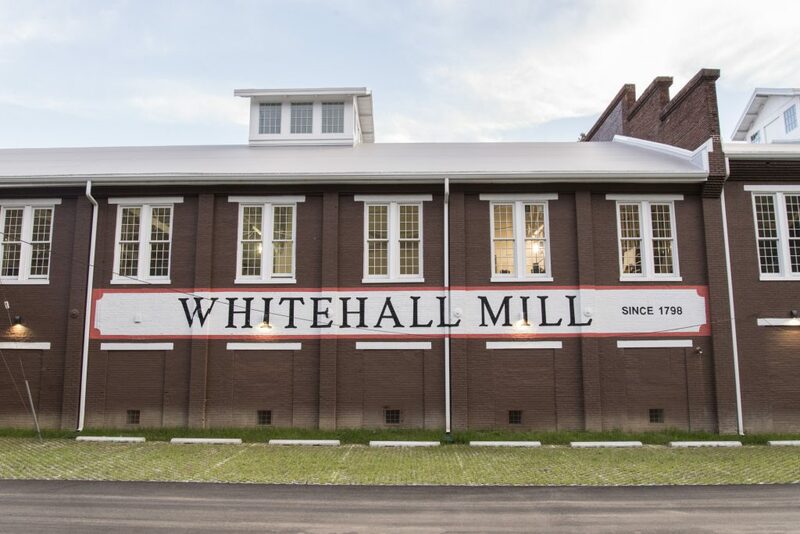 We hope all of you can be our guests on October 3, 6:00 pm at the historic Whitehall Mill on for a reception, tour, and chance to help us give away four micro-grants for preservation in Baltimore. The evening program is also this year’s annual meeting where we elect board members and officers. Special thanks to Delbert Adams Construction Group for sponsoring this event. Please join us and help guide our work in the year ahead. Enjoy light fare, wine, beer and more! We’ll take a tour through this former 1700s grist mill including the spectacular apartment home of artist Hilton Carter. Mr. Carter has turned his apartment at Whitehall Mill into an oasis with hundreds of plants and his own industry-inspired artwork. He has been featured in Baltimore Magazine and Baltimore Art, and is graciously opening his home for us. We are giving out four micro-grants of $250 and $500 to deserving preservation efforts in Baltimore. Six people will give three-minute “pitches” of their ideas and then we will ask you to cast a vote for the ideas you’d like us to fund. We’ll learn about some great initiatives underway in Baltimore and have a little fun while helping them out. If you have a good idea, please send it in! Finally, since our founding in 1960, Baltimore Heritage has been run by a board of directors elected by members who have contributed in the last year. We’ll elect our board and officers for the coming year and hope you will participate. If you haven’t made a membership gift this year, please make a donation today. Thank you again for supporting Baltimore’s historic buildings and neighborhoods, and for supporting our work to keep them vibrant. We hope you can sign up to join us on Tuesday, October 3 at Whitehall Mill. 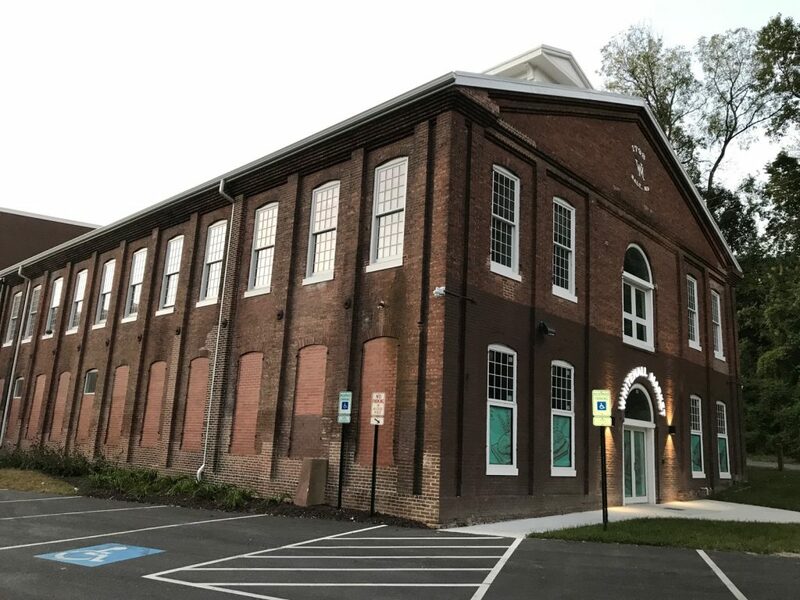 Join the Greater Hampden Heritage Alliance for a tour of the historic Whitehall Mill followed by a screening of the 16 mm film "Baltimore's Geography, Jones Falls, The Stream that Shaped a City” (1983, 20mins).